Engine maintenance is vital to the performance and overall lifespan of your vehicle. Certain preventative maintenance services like oil changes should be performed regularly and important components like spark plugs, timing belts, fuel injection systems, head gaskets and ignition wires/cables should be inspected regularly. 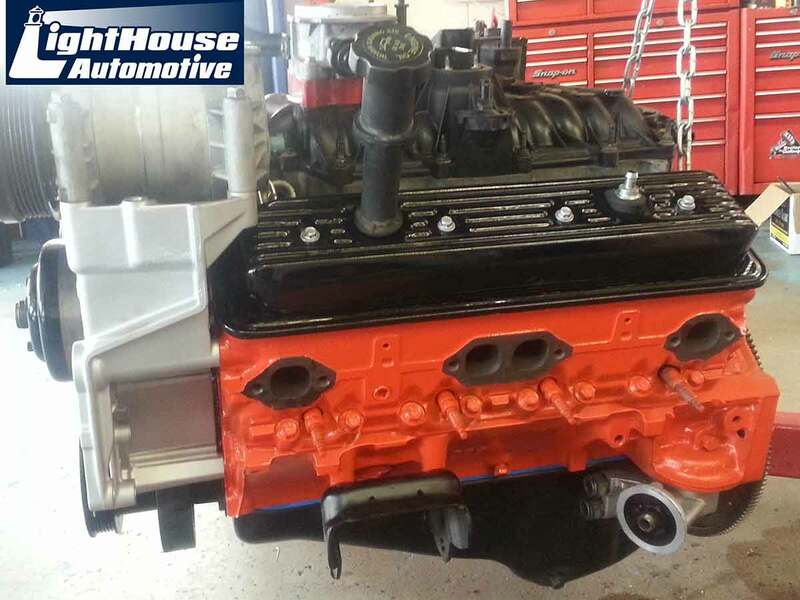 When engine repairs are needed or worn parts need to be replaced, count on the automotive experts at LightHouse Automotive. Every once in awhile, the damage may be so bad that the entire engine needs to be replaced. This is the worst-case scenario, but it is not as bad as you might think. The LightHouse Automotive team will walk you through your engine replacement options and help you make the right engine repair decisions. A routine engine inspection may indicate a weak seal or loose cap, which could lead to an oil leak or coolant leak. Sometimes, there is a more serious issue like a blown head gasket. Proactively checking these engine components may prevent further damage or complete failures of the engine. There are many reasons why engines stop working. It could just be a faulty part that is easily replaced. Most times, engines fail simply because of lack of routine maintenance. With regular maintenance, key parts are inspected and fluid levels/quality is checked. In certain cases, LightHouse Automotive may recommend a deeper internal engine inspection or a diagnostics review to determine the causes behind bigger engine problems. When routine maintenance and inspections are performed, engines will run smoother for a longer period of time. Most vehicles are now equipped with advanced computer monitoring system that monitors engine performance. It can monitor problems that can harm your car. The computer system in your vehicle receives data from a set of sensors and switches that controls your ignition, fuel, oil and cooling systems and emissions. When one of these systems fails or shorts, it triggers the computer system to turn on the check engine light. This check engine light warns us of a problem. If this light starts blinking, pull over immediately and call LightHouse Automotive! We can connect our computer to yours and perform a full diagnostic review. A flashing check engine light is usually an indication of a serious and urgent problem that needs to be addressed right away. If it stays illuminated, the problem may be less of an emergency. However, you’ll want to get the problem inspected by a professional as soon as you can. 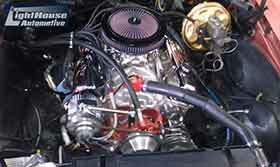 We specialize in engine repair so we are pleased to offer expert automotive services in terms of quality and price. We provide the top automotive maintenance and repair service, vehicle diagnostics and vehicle inspections. 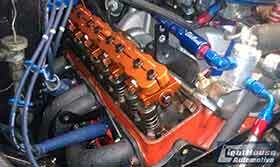 We specialize and are equipped to handle complete maintenance and/or repair of engines. As a Certified NAPA AutoCare Center, we offer their 36 months/36,000 mile Napa AutoCare Peace of Mind Warranty on qualifying parts and repairs. This warranty is valid nationwide at any NAPA AutoCare Center. LightHouse Automotive of Colorado Springs has highly trained ASE Certified automotive technicians and a responsible customer service team. Our combined years of work experience and performance speak for themselves. We have always been characterized by on-time delivery and delivering the best engine and car repair services. We dedicate ourselves to this service, so we know exactly what to do. We have extensive knowledge in different types of engines and vehicle repair, and we have the technical ability required to perform an excellent engine repair or replacement. We are synonymous with quality and effectiveness, most of our customers have been highly satisfied with our work. We are reliable, we don’t leave a jobs unfinished or poorly done. We carry out an excellent analysis of your engine in our auto shop, where we identify the type of problem and plan to continue the repair or service. We know and value our work, so we guarantee quality in all processes we undertake. If you think you may be having problems with the engine, please call or contact LightHouse Automotive. We are always ready to offer not only the information you need, but we can also create a plan of action to avoid any further damage which can cause more expensive repairs. We have computer diagnostic machines and Colorado Springs auto repair techs with many years of experience, allowing us to provide data of your vehicle that some other shops cannot offer. Our technical staff receives ongoing training on all vehicle makes and model. 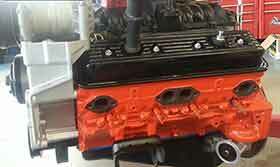 For this reason, we are able to repair or service most types of engines in an efficient time frame. Besides being the best place to service and repair vehicle, LightHouse Automotive is also the best place to save on costly repairs. Visit our workshop in Colorado Springs for best service on repairs and engine maintenance. 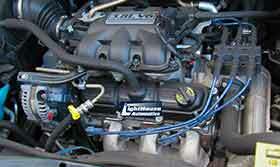 Our technicians are ASE Certified to repair most import and domestic engines. So you can have confidence in the choice of engine repair for your vehicle. LightHouse Automotive LLC is located in Colorado Springs, CO. Our shop is created under the philosophy of commitment to quality assurance and customer satisfaction, thus offering a wide range of vehicle repair services including engine repair and maintenance. Do you have any questions regarding our engine maintenance services? Feel free to contact us at any time. LightHouse Automotive values your time as much as you do, so we strive to provide best engine repair and maintenance service every day. Schedule your next engine maintenance appointment online or call our shop at (719) 465-0302. We know the needs of our customers, so we offer the best value you will not find elsewhere. We also track your repairs and preventive maintenance schedules. Maintaining your engine by ASE Certified Technicians such as those of LightHouse Automotive in Colorado Springs saves you long-term costs on automotive maintenance and auto repairs.